Finally, after waiting months after first spotting this polish on the runway models at Badgley Mischka this past February, I got my hands on the fall release of Deborah Lippmann's nail colors including the gorgeous satin-finish Take The "A" Train. Truthfully, I knew I would love this color after previously seeing it in person so I made a beeline for this shade when I received this collection. 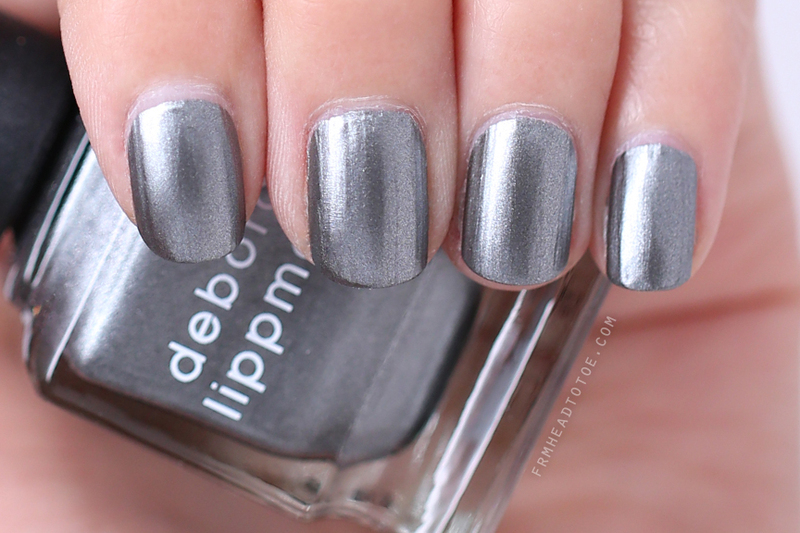 And what a gorgeous steely grey it is! It reminds me of a frosty brushed metal but without the streaks. Actually, this shade was pleasantly self-leveling which made for a really easy application. Here I applied a base of Butter London Nail 999 and 3 coats of Take The "A" Train with no topcoat to preserve the original satin luster. I have a lot of ridges in my nails but if your nails are naturally smooth or buffed down, you could potentially make this a 1-coater since it's really opaque. Since I skipped the top coat I did notice the polish wore down at the edges much quicker than my usual application, but the self-leveling properties actually hid that when applying a touch-up coat right on top. Overall, I am still pretty obsessed with this color. 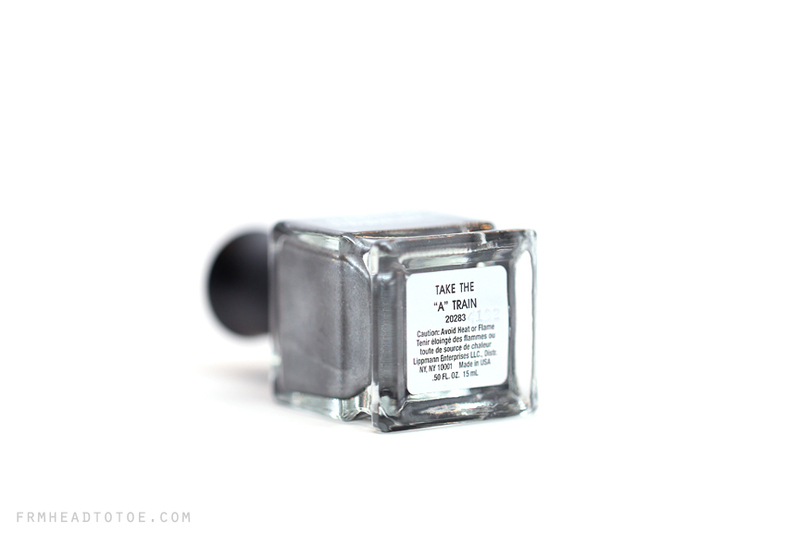 It's perfect for the fall season and would be an easy application even for nail newbies. Highly recommend this one! Readers, what's your go-to fall polish this season? Have you tested out polishes with a non-traditional finish? What was your experience? Let me know in the comments! Silver isn't really a color I've worn on my nails before but looks really cool!!! Stunning shade!! And it will go perfectly with a totally black outfit.